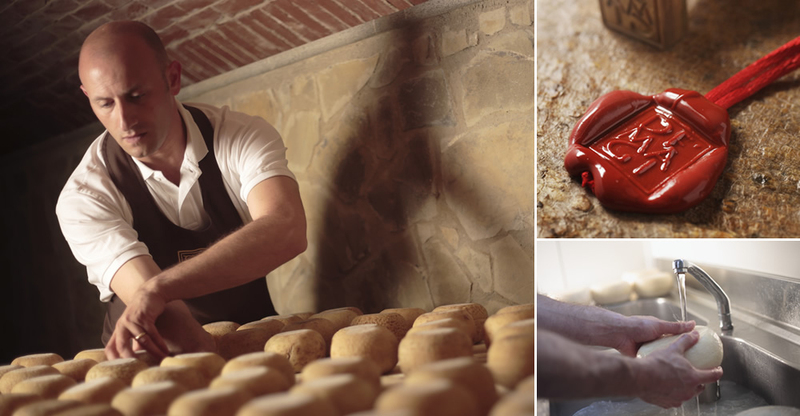 Andrea Magi makes his cheese with love and knowledge. De’ Magi cheese is born thanks to his love of good things. When he was only 12 years old, with school and all his homework done, one of Andrea’s favourite things to do, to help out the family, was to wash the cheese. This apparently simple operation represents a lot more than it seems: regulating the temperature of the water, cold, warm or hot depending on the type of cheese, is a fundamental necessity for intensifying the flavour of the cheese. And for this reason De Magi cheeses are still washed by hand today without using industrial machinery. A strict control of the raw material, an “obsessive love”, as Andrea Magi defines it. e seeks out, tastes, and chooses all the products. And he makes them grow. Only after countless trials does he propose these products to food specialists, wine shops, bars, restaurants. His research is for the fine palate and for the curious who want to discover and experiment new sensations. De Magi is for those who don’t limit their tastes. Andrea Magi is a selector, a discriminating researcher of cheese, an expert who is always up to date, a member of the National Organization of Cheese Tasters.